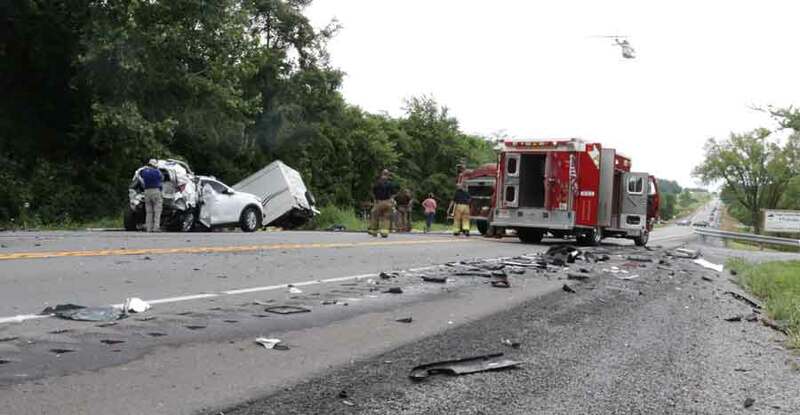 Columbia, Ky. – Kentucky State Police Trooper Marvin Blakey is investigating a collision that occurred on Monday, July 3, around noon on KY 55, 5 miles north of Columbia in Adair County. 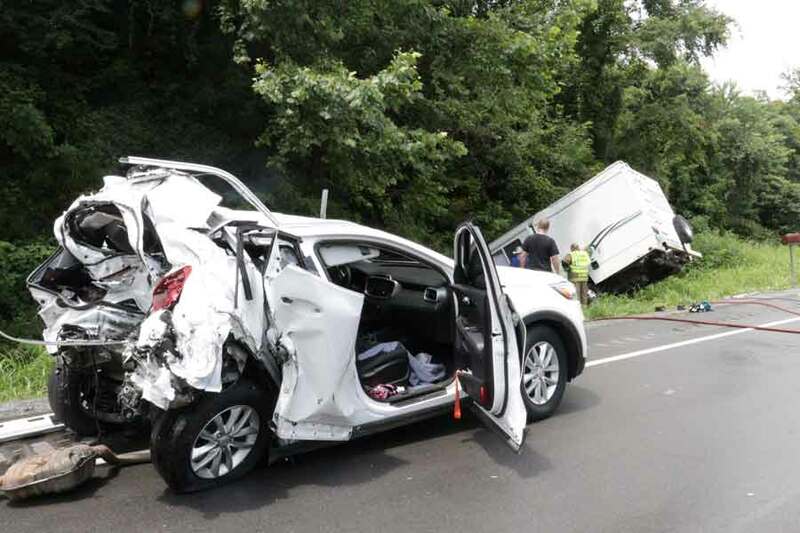 34-year-old Janet (Alexis) Jennings, of Columbia, was operating a southbound KIA SUV when she lost control of the vehicle due to wet road conditions and crossed into the path of a northbound 2000 Ford Econoline E350 motor home operated by 29-year old Jordan Slagle of Canal Winchester, Ohio. Slagle was unable to avoid the collision. 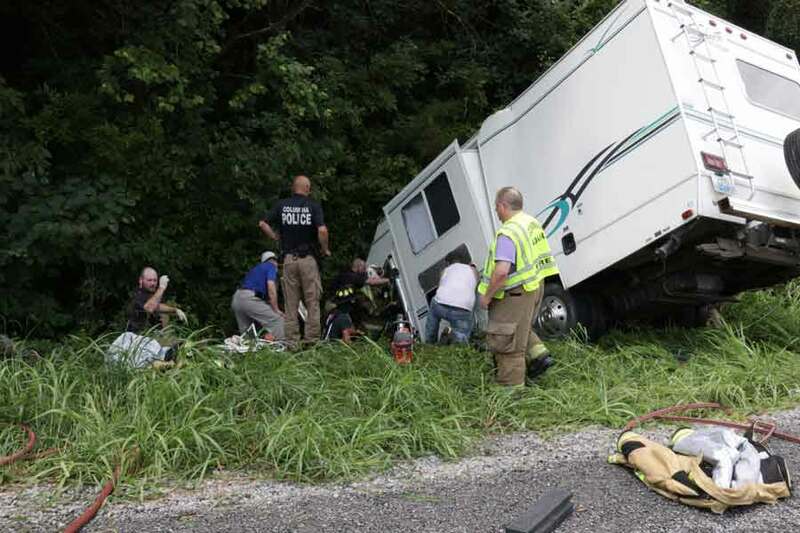 55-year-old Jean-Ann Weis and 9-year old Nea McNeally, of Columbia; 34-year-old Ryan Slagle and 8-year-old Addison Slagle, of Canal Winchester, OH and 33-year-old Adam Slagle of Pickerington, OH were all passengers in the motor home. Jordan Slagle and Jean Weis were flown from the scene to the University of Kentucky Hospital where they all are listed in stable condition. Ryan Slagle, Adam Slagle and Nia McNeally were all transported to TJ Health Columbia where they were treated and released for non life threatening injuries. Janet Jennings was flown from TJ Health Columbia to University of Louisville Hospital and Addison Slagle was flown to University of Kentucky Hospital where they are listed in stable condition. Also assisting at the scene were other KSP personnel, Adair County Sheriff’s Department, Columbia Police Department, Adair County Fire Department, EMS, Air Evac and Search and Rescue. Passengers of this RV were flown from the scene of an accident Monday. Alexis Jennings of Columbia was driving this SUV when she lost control of the vehicle Monday. Air Evac flies in to a scene of a two-vehicle wreck on Campbellsville Road.